Making money while doing good; surely that’s what all entrepreneurs dream of? Simply turning a profit is no longer enough for most of us. Instead, we want to feel we are actively contributing to society. And it’s an ethos I applaud. When all business owners take the time to think about how they can improve their wider communities, we’ll all benefit. The great news is, ensuring your business is aligned with a cause doesn’t just give you the feel-good factor, it can actually boost your success. Today’s consumers are eager to seek out those companies they believe do good. And numerous studies have shown that millennials in particular are happy to pay a premium for brands that give something back to society. As a result, many of the most successful start-ups are those that have created a business around a cause, rather than simply promoting a product or service. In a survey of more than 2,000 people in the UK, 62 per cent of millennials wanted to be employed by a company that makes a positive impact. When you build your business around a cause, your employees will be proud to work for you. This means they are likely to be loyal, hard-working and go above and beyond for the company. In a survey of more than 2,000 people in the UK, consultancy Global Tolerance found that 62 per cent of millennials (those born between 1981 and 1996) wanted to be employed by a company that makes a positive impact. Meanwhile, 53 per cent said they would work harder if they believed they were making a difference to others. Today’s shoppers like to feel that they are making responsible choices when they shop. 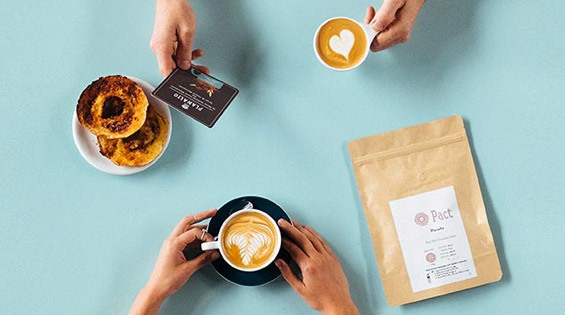 Customers are proud to be associated with a brand that supports a cause and are keen to show others that they’re making ethical choices – particularly when they can broadcast their purchasing decisions on social media. A study by Nielsen revealed that 55 per cent of online shoppers across 60 countries were willing to pay more for products and services dedicated to positive social and environmental impact. Sometimes it can be hard to know how to pitch a new business idea but when you build your business around a cause it becomes so much easier. With a great story to tell, everything you communicate becomes more interesting. And with a great story, it becomes easier to generate media interest and social media coverage. A great example is Toms Shoes, a for-profit business that sells shoes, handbags and sunglasses. The company could be just another fashion brand in amongst millions of others. But the thing that makes Toms different is that it’s built around a clearly-defined cause. 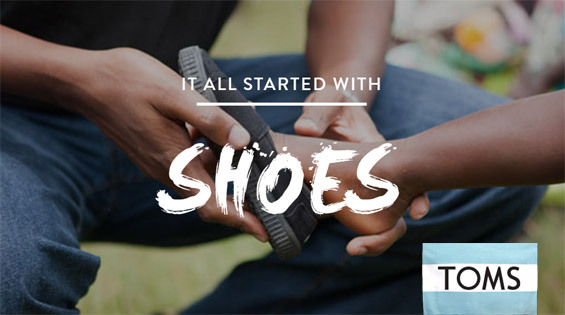 For every pair of shoes the company sells, Toms gives a new pair of shoes to an impoverished child. For every pair of sunglasses sold, part of the profit is used to save or restore eyesight for people in developing countries. And each bag sold helps promote safe childbirth by training birth attendants and providing birth kits in developing countries. It’s a simple model that’s easy to understand and has resulted in great success for the brand. By 2012, Toms had given over two million pairs of new shoes to children in developing countries. And by 2014, Reuters estimated that the company was worth $625 million. So how do you build a business around a cause? Well, don’t let your industry or product put you off. You might at first feel that your brand doesn’t have a social or ethical angle but look hard enough and I guarantee you’ll find something. After all, fashion doesn’t instantly suggest social enterprise but Toms has proven that you can earn millions while making a difference in the world. And the finance industry certainly isn’t famous for being ethical but start-ups like TransferWise and Lemonade are hitting the headlines with their fresh and fair approach. Remember a cause doesn’t have to be synonymous with charity. You might not be donating money but instead could be changing attitudes or challenging the status quo. Your cause should have a clear link with your product or service. Many companies donate to charity but to build your business around a cause, the two must be linked. Otherwise you’ll just be another company making charitable donations – which is commendable but not particularly noteworthy. If you can’t find an obvious link between your company and your cause, try looking at things from a new angle. Toms could have simply donated a percentage of their profits to a disaster charity but by linking their product – shoes and eyewear with providing shoes and improving eyesight, they’ve created a clear link which people can easily understand. You can’t fake passion. You need to have 100 per cent belief in your cause. If you’re not excited about your cause, nobody else will be. So, if your idea doesn’t make you tingle, it might not be the right cause. When building a business around a cause, your story is everything. It’s the reason people will want to work with you. It’s the reason customers will want to buy from you. It’s the reason the media will want to write articles about you. Make your story interesting and personal. Explain why you are so passionate about the cause you are championing. Make sure everything you do is aligned with your cause. So many businesses have been caught out by saying one thing and doing another. So, if you’re helping build schools in developing countries, make sure your suppliers aren’t exploiting child labour. If you’re campaigning for improved working conditions overseas, make sure your own staff are treated well.